Continuing Legal Education (CLE) Sites Worldwide. Continuing legal education is required of members of the Integrated Bar of the Philippines (IBP) to ensure that throughout their career, they keep abreast with law and jurisprudence, maintain the ethics of the profession and enhance the standards of the practice of law. Within two (2) months from the approval of these Rules by the Supreme Court En Banc, the MCLE Committee shall be constituted in accordance with these Rules. (a) At least six (6) hours shall be devoted to legal ethics. (b) At least (4) hours shall be devoted to trial and pretrial skills. (c) At least five (5) hours shall be devoted to alternative dispute resolution. (d) At least nine (9) hours shall be devoted to updates on substantive and procedural laws, and jurisprudence. (e) At least four (4) hours shall be devoted to legal writing and oral advocacy. (f) At least two (2) hours shall be devoted to international law and international conventions. (g) The remaining six (6) hours shall be devoted to such subjects as may be prescribed by the MCLE Committee. 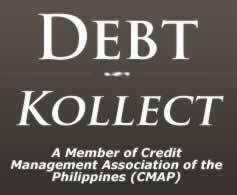 The initial compliance period shall begin not later than three (3) months from the constitution of the MCLE Committee. Except for the initial compliance period for members admitted or readmitted after the establishment of the program, all compliance periods shall be for thirty-six (36) months and shall begin the day after the end of the previous compliance period. Section 2. Compliance Group 1. Members in the National Capital Region (NCR) or Metro Manila shall be permanently assigned to Compliance Group 1. Section 3. Compliance Group 2. Members in Luzon outside NCR shall be permanently assigned to Compliance Group 2. Section 4. Compliance Group 3. Members in Visayas and Mindanao shall be permanently assigned to Compliance Group 3. Section 5. Compliance period for members admitted or readmitted after establishment of the program. Members admitted or readmitted to the Bar after the establishment of the program shall be permanently assigned to the appropriate Compliance Group based on their Chapter membership on the date of admission or readmission. The initial compliance period after admission or readmission shall begin on the first day of the month of admission or readmission and shall end on the same day as that of all other members in the same Compliance Group. (a) Where four (4) months or less remain of the initial compliance period after admission or readmission, the member is not required to comply with the program requirement for the initial compliance. (b) Where more than four (4) months remain of the initial compliance period after admission or readmission, the member shall be required to complete a number of hours of approved continuing legal education activities equal to the number of months remaining in the compliance period in which the member is admitted or readmitted. Such member shall be required to complete a number of hours of education in legal ethics in proportion to the number of months remaining in the compliance period. Fractions of hours shall be rounded up to the next whole number. In numbers 2 and 3 of the guidelines in the preceding Section, the total maximum credit units shall not exceed twenty (20) hours per three (3) years. The credits are either participatory or non-participatory. (a) Attending approved education activities like seminars, conferences, symposia, in-house education programs, workshops, dialogues or round table discussions. (b) Speaking or lecturing, or acting as assigned panelist, reactor, commentator, resource speaker, moderator, coordinator or facilitator in approved education activities. 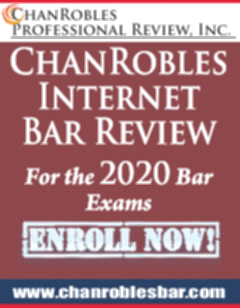 (c) Teaching in a law school or lecturing in a bar review class. 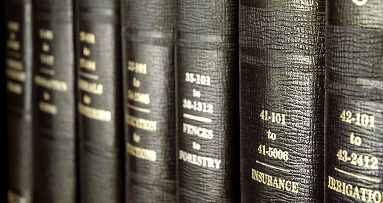 (a) Preparing, as an author or co-author, written materials published or accepted for publication, e.g., in the form of an article, chapter, book, or book review which contribute to the legal education of the author member, which were not prepared in the ordinary course of the member's practice or employment. (b) Editing a law book, law journal or legal newsletter. Credit hours are computed based on actual time spent in an activity (actual instruction or speaking time), in hours to the nearest one-quarter hour. (a) Those who are not in law practice, private or public. 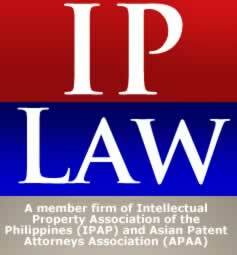 (b) Those who have retired from law practice with the approval of the IBP Board of Governors. A member may file a verified request setting forth good cause for exemption (such as physical disability, illness, post graduate study abroad, proven expertise in law, etc.) from compliance with or modification of any of the requirements, including an extension of time for compliance, in accordance with a procedure to be established by the MCLE Committee. The compliance period shall begin on the first day of the month in which a member ceases to be exempt under Sections 1, 2, or 3 of this Rule and shall end on the same day as that of all other members in the same Compliance Group. Applications for exemption from or modification of the MCLE requirement shall be under oath and supported by documents. 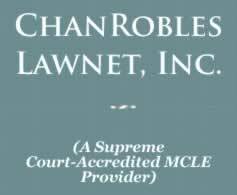 Subject to the rules as may be adopted by the MCLE Committee, continuing legal education program may be granted approval in either of two (2) ways: (1) the provider of the activity is an approved provider and certifies that the activity meets the criteria of Section 3 of this Rules; and (2) the provider is specially mandated by law to provide continuing legal education. (a) The activity shall have significant current intellectual or practical content. (b) The activity shall constitute an organized program of learning related to legal subjects and the legal profession, including cross profession activities (e.g., accounting-tax or medical-legal) that enhance legal skills or the ability to practice law, as well as subjects in legal writing and oral advocacy. (c) The activity shall be conducted by a provider with adequate professional experience. (d) Where the activity is more than one (1) hour in length, substantive written materials must be distributed to all participants. Such materials must be distributed at or before the time the activity is offered. Approval of providers shall be done by the MCLE Committee. (c) Be accompanied by the approval fee. (a) An official record verifying the attendance at the activity shall be maintained by the provider for at least four (4) years after the completion date. The provider shall include the member on the official record of attendance only if the member's signature was obtained at the time of attendance at the activity. The official record of attendance shall contain the member's name and number in the Roll of Attorneys and shall identify the time, date, location, subject matter, and length of the education activity. A copy of such record shall be furnished the IBP. (2) The activity conforms to the standards for approved education activities prescribed by these Rules and such regulations as may be prescribed by the IBP pertaining to MCLE. (c) The provider shall issue a record or certificate to all participants identifying the time, date, location, subject matter and length of the activity. (d) The provider shall allow in-person observation of all approved continuing legal education activities by members of the IBP Board of Governors, the MCLE Committee, or designees of the Committee and IBP staff for purposes of monitoring compliance with these Rules. (f) The provider shall maintain the completed Education Activity Evaluation Forms for a period of not less than one (1) year after the activity, copy furnished the IBP. (g) Any person or group who conducts an unauthorized activity under this program or issues a spurious certificate in violation of these Rules shall be subject to appropriate sanctions. The approval of a provider may be renewed every two (2) years. It may be denied if the provider fails to comply with any of the requirements of these Rules or fails to provide satisfactory education activities for the preceding period. The approval of any provider referred to in Rule 9 may be revoked by a majority vote of the IBP Board of Governors, upon recommendation of the MCLE Committee, after notice and hearing and for good cause. Application for approval of an education activity or as a provider requires payment of an appropriate fee. Each member shall secure from the MCLE Committee a Compliance Card before the end of his compliance period. He shall complete the card by attesting under oath that he has complied with the education requirement or that he is exempt, specifying the nature of the exemption. Such Compliance Card must be returned to the address indicated therein not later than the day after the end of the member's compliance period. Each member shall maintain sufficient record of compliance or exemption, copy furnished the MCLE Committee. The record required to be provided to the members by the provider pursuant to Section 3(c) of Rule 9 should be sufficient record of attendance at a participatory activity. A record of non-participatory activity shall also be maintained by the member, as referred to in Section 3 of Rule 5. YOUR FAILURE TO PROVIDE ADEQUATE JUSTIFICATION FOR NON-COMPLIANCE OR PROOF OF COMPLIANCE WITH THE MCLE REQUIREMENT BY (INSERT DATE 60 DAYS FROM THE DATE OF NOTICE), SHALL BE A CAUSE FOR LISTING AS A DELINQUENT MEMBER. The Member may use this period to attain the adequate number of credit hours for compliance. Credit hours earned during this period may only be counted toward compliance with the prior compliance period requirement unless hours in excess of the requirement are earned, in which case, the excess hours may be counted toward meeting the current compliance period requirement. A member who, for whatever reason, is in non-compliance at the end of the compliance period shall pay a non-compliance fee. Any member who fails to satisfactorily comply with Section 2 of Rule 12 shall be listed as a delinquent member by the IBP Board of Governors upon the recommendation of the MCLE Committee, in which case, Rule 139-A of the Rules of Court shall apply. The termination of listing as a delinquent member is administrative in nature but it shall be made with notice and hearing by the MCLE Committee. The MCLE Committee shall be composed of five (5) members, namely: a retired Justice of the Supreme Court, as Chair, and four (4) members, respectively, nominated by the IBP, the Philippine Judicial Academy, a law center designated by the Supreme Court and associations of law schools and/or law professors. The members of the Committee shall be of proven probity and integrity. They shall be appointed by the Supreme Court for a term of three (3) years and shall receive such compensation as may be determined by the Court. The MCLE Committee shall administer and adopt such implementing rules as may be necessary subject to the approval by the Supreme Court. It shall, in consultation with the IBP Board of Governors, prescribe a schedule of MCLE fees with the approval of the Supreme Court. The IBP shall employ such staff as may be necessary to perform the record-keeping, auditing, reporting, approval and other necessary functions. The IBP shall submit to the Supreme Court an annual budget for a subsidy to establish, operate and maintain the MCLE Program. This resolution shall take effect in October 2000, following its publication in two (2) newspaper of general circulation in the Philippines.